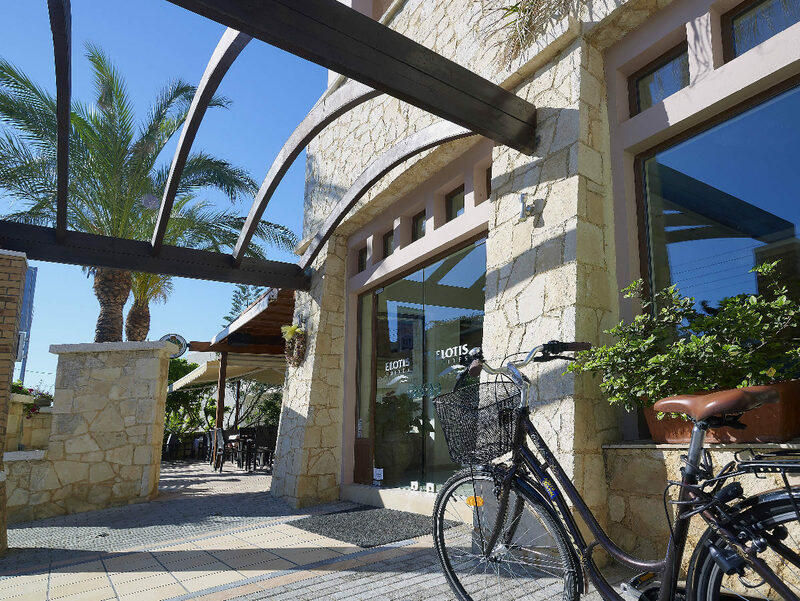 Within walking distance from the sandy beach of Agia Marina and only 8 kilometers from the town of Chania, Elotis Suites welcomes you to an atmosphere of comfort, tranquility and unrivaled hospitality. Built on the beach road of Agia Marina, Elotis Suites hotel was renovated on 2004, but recently (2012) was renovated, both the decoration of all rooms and baths and public areas. Τhere are 5 buildings which include 20 flats, studios and suites in simple architectural lines, furnished with a selective mood, thus offering all the modern comfort without a touch of exaggeration. 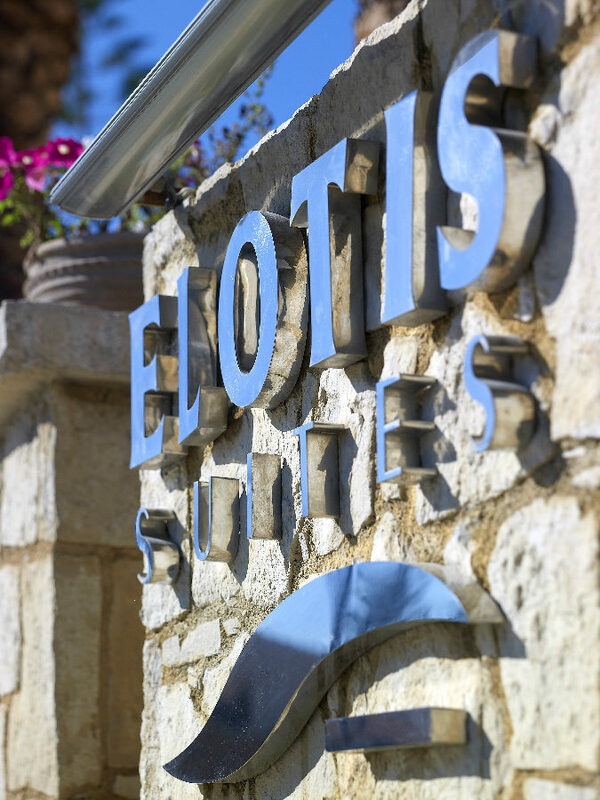 Elotis Suites combines simplicity and elegance, in a place where the real star is you and your wishes, thus creating the appropriate premises for an unforgettable stay. (approx. 25 square meters for 1-3 persons) A comfortable room with two single beds and a bed settee, a small fully equipped kitchen and a bathroom with a shower, compose a tranquil, hospitable and relaxing environment for two to three people. The soft colour combinations and the light furnishings give a fresh note to these elegant spaces. (approx. 35 square meters for 2-4 persons) With a view of the beautiful gardens , these flats are the ideal choice for two to four persons who seek a comfortable stay in an environment of classic decorations in simple lines. Built on either one or two levels, the flats consist of one bedroom with two single beds, a living room with the capability of accommodating one more person on a bed settee, a small kitchen fully equipped, a sitting area for relaxing and eating and a bathroom with a shower. (approx. 45 square meters for 4-5 persons) The elegant indoors of the suite with the discrete decorations compose a hospitable, relaxing environment. 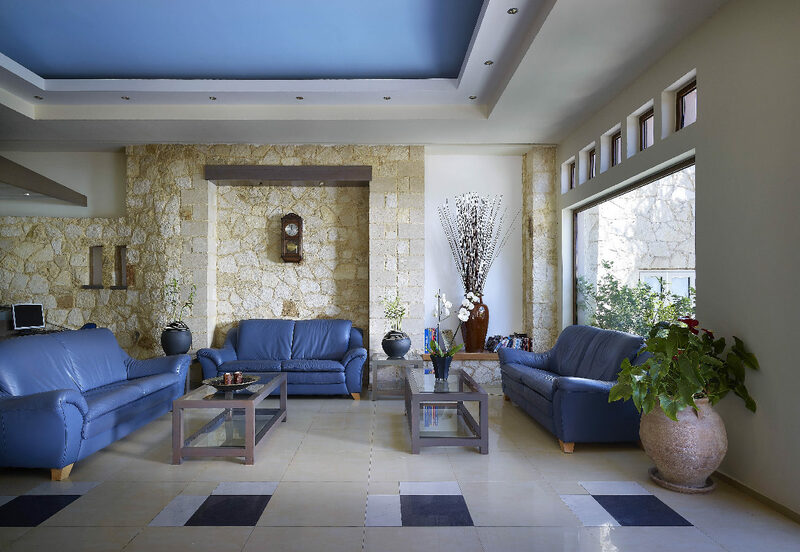 The suites, built either on one or two levels, consist of two separate bedrooms with two single beds in every room, a living room with the capability of accommodating one more person on a bed settee, bathroom with a shower, a small kitchen fully equipped and a balcony or a veranda with a garden view.